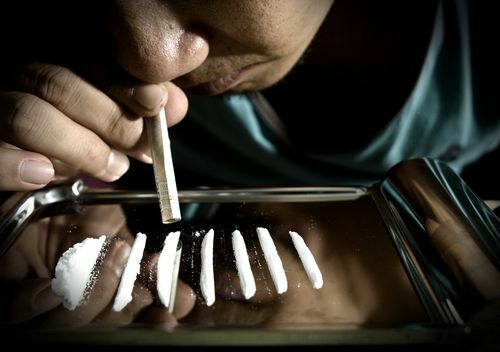 Ways to Take Cocaine: Can You Snort, Smoke or Shoot Up the Drug? Cocaine is a highly addictive and popular stimulant drug. Snorting cocaine is the most common and well-known way of consuming the drug; however, it is not the only method. This article looks into the different ways of doing cocaine and whether some methods are safer than others. It looks into how cocaine is used, as well as the dangers of each method. So what are the main ways of doing cocaine? What are the Ways to Take Cocaine? Is There a Safe Way to Use Cocaine? There are some ways to do cocaine. Users tend to opt for snorting the drug, due to the powder being easier to obtain than other forms of the substance. However, other methods of consuming the drug are increasing in popularity. According to The National Institute On Drug Abuse, cocaine can be taken orally, intranasally, intravenously, or by inhalation. Cocaine shooting is one of those methods. This involves injecting the drug straight into the bloodstream to get cocaine high at a faster rate and for longer. Cocaine shooting or intravenous administration is regarded as one of the more dangerous methods of taking the drug. This is down to its rapid effects and the fact that injecting anything without medical supervision is dangerous and can cause the spread of diseases. Although taking the drug intranasally, or snorting the drug, is the most common method, it is also dangerous. As well as the drug effects, this method damages the noses bridge over time. Oral cocaine or inhaling the substance, are less common methods of consuming the drug. These methods tend to avoid small doses and for that reason are slightly less harmful. Orally, the drug can also be mixed into food to lessen the effects. Nonetheless, these methods are still dangerous due to the addictive tendencies of the drug. Due to the number of methods to take the drug that are available, it is often difficult to recognize each danger. For example, ingesting cocaine may be far less dangerous than shooting up cocaine, due to not using a needle. The following criteria will help to explain the dangers of each method and help to give a scale of danger. This method is still addictive but has the weakest effects of all the methods. The drug can be taken orally in a few ways, from swallowing Cocaine to rubbing it on the gums. One of the main dangers here is that it takes so long to affect, it encourages larger, more frequent doses and increases the chance of an overdose. Highly addictive and the remnants of the dose remain for a while after. It can take a while for the nose to recover, and the nasal bridge can become damaged over time. The difference between someone’s body and cocaine effects before and after use will be very apparent with this method. Highly addictive and can damage the veins. In addition to that, there is a chance of needles not being sterile and transmitting diseases. The most addictive form of the substance as smoked cocaine is nearly always mixed with other dangerous and addictive substances. This is especially bad for the lungs and heart. The most common and popular way of consuming the drug is to snort it. Through this method, the drug is absorbed into the bloodstream by nasal tissues, ensuring the user gets cocaine high. However, different types of cocaine classification may change this. For example, if the substance in use is crack cocaine, then it is much more likely to be smoked by the user. According to the Center For Substance Abuse Research, when smoked, crack cocaine’s effects are almost instant, as the chemicals reach the brain far faster. This also makes the high more intense and increasingly addictive. 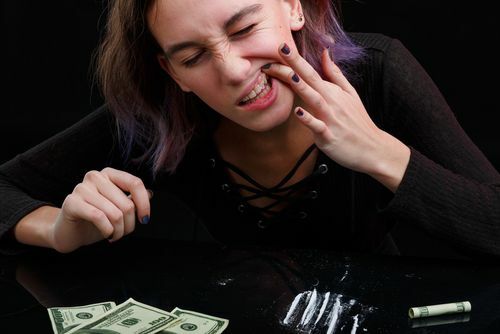 Despite this, both cocaine snorting and smoking the substance are equally dangerous, so what is the best way to do cocaine if you want to remain safe? In short, there is no safe way to take the drug. The safest method of consumption is oral, due to the lessened effects of the substance. However, even this method should not be taken lightly, as it can cause severe and problematic addiction, overdose or other health issues. To combat the drugs psychological effects, look into how to make fake cocaine. If you are looking for how to take cocaine to find the safest way possible then it is likely that you are addicted to the drug. In this scenario, it is essential to find immediate medical help. Your doctor or medical professional will guide you towards the most suitable treatment program for you. If you need any further advice or assistance on where to find a nearby treatment program, doctor or just someone to talk to, please call our hotline at (888)-459-5511. Addiction Resource » Addictive Substances: The Anatomy of Drug Addiction » Cocaine and Crack Addiction and Treatment » Ways to Take Cocaine: Can You Snort, Smoke or Shoot Up the Drug? thank you for finally answering my Q! Nice, I learned a lot!